"This is the story of how fear contaminated the world." Shout Factory has debuted the first official trailer for an animated adventure from Brazil titled Tito and the Birds, also known as Tito e os Pássaros. The film tells the story of a boy who discovers, along with his father, the the cure for fear, an epidemic that is sweeping the world and turning people into rocks. It's animated by hand in a gorgeous oil painted style that is truly mesmerizing to look at. Even if there isn't as much detail as usually seen in animation, it's just so spectacular, I could stare at the frames for hours just admiring them. I caught this film at the Annecy Film Festival this summer and wrote a rave review. It also just played at TIFF and is playing at the Animation Is Film festival next, before hopefully getting a theatrical release later this year. I really, really adore this film. Tito is a shy 10-year-old boy who lives with his mother. Suddenly, an unusual epidemic starts to spread, making people sick whenever they get scared. Tito quickly discovers that the cure is somehow related to his missing father’s research on bird song. He embarks on a journey to save the world from the epidemic with his friends. Tito’s search for the antidote becomes a quest for his missing father and for his own identity. 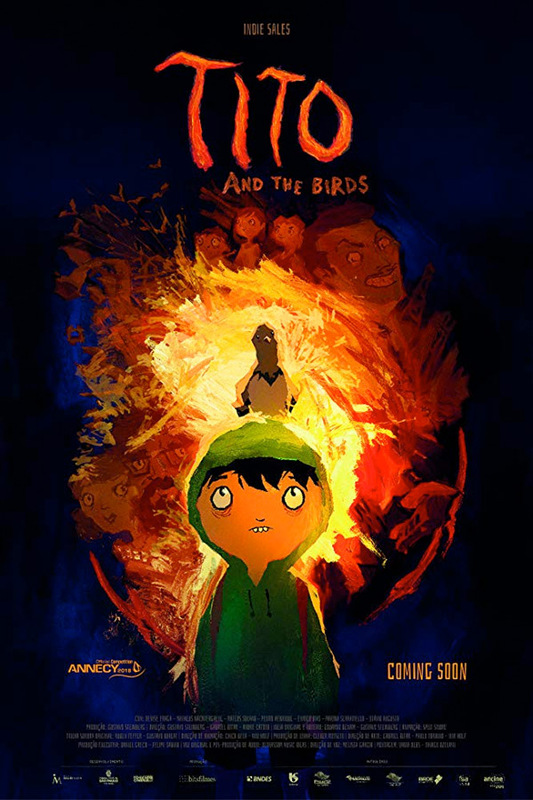 Tito and the Birds, originally titled Tito e os Pássaros in Portuguese, is co-directed by filmmakers Gabriel Bitar, André Catoto, and Gustavo Steinberg (End of the Line). The screenplay is written by Eduardo Benaim and Gustavo Steinberg. This premiered at the Annecy Film Festival (read our review) and also played at TIFF this year. Shout Factory will release Tito and the Birds in select theaters + on VOD later this year. For more info, visit Shout's website. Stay tuned for updates. First impression? Who's interested?